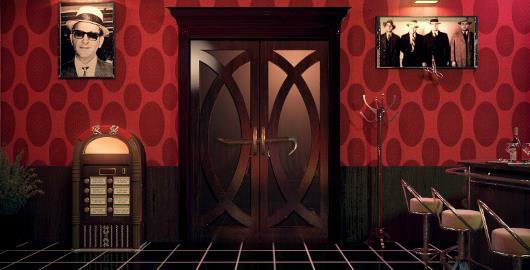 Gangster’s Escape Game is the latest Room Escape game from Coolbuddy. After escaping from the gangster group, you hide yourself in a club. 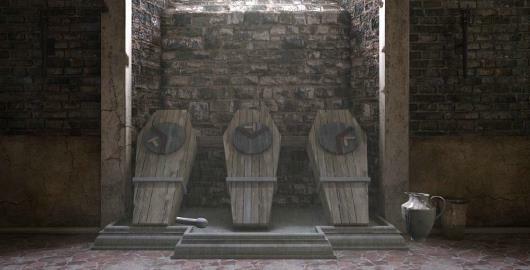 But they are waiting for you outside. You can’t go back the same way. You’ll have to find another exit to escape your grim fate. 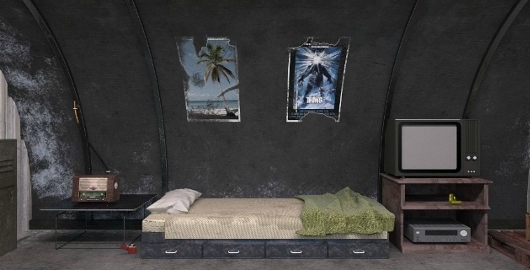 Alexendria Escape is the latest Room Escape game from Coolbuddy. Search for clues and solve puzzles to make your way out of Blackbeard’s cabin. 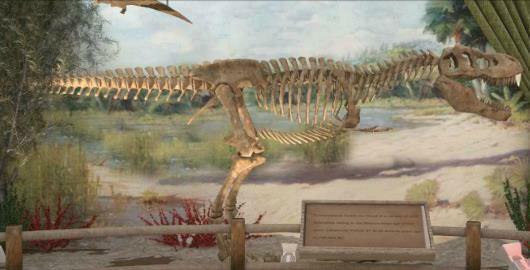 History Museum Escape is the latest Room Escape game from Coolbuddy. 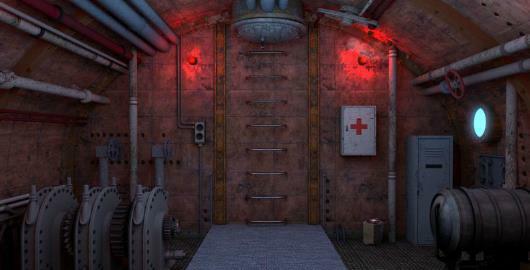 Nautilus Escape Game is the latest Room Escape game from Coolbuddy. Will you find your final rest at the bottom of the sea or will you escape and see the daylight once more? Explore the submarine and use your wit to escape. 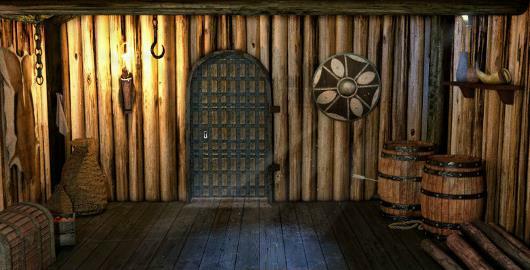 Viking’s Escape is the latest Room Escape game from Coolbuddy. 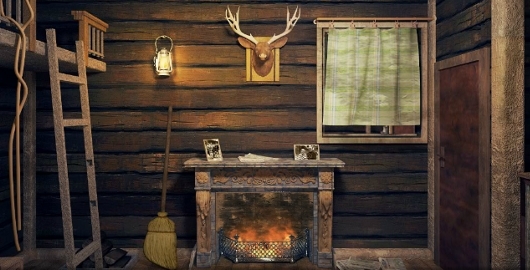 Search for clues and solve puzzles to make your way out of the viking’s cabin. Crusaders Escape is the latest Room Escape game from Coolbuddy. 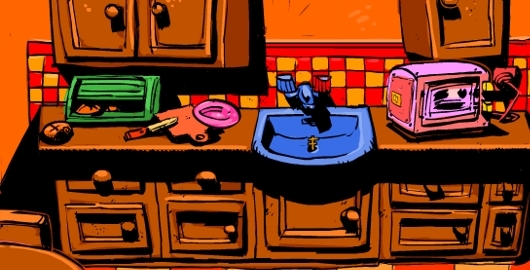 Polar Escape is the latest Room Escape game from Coolbuddy. 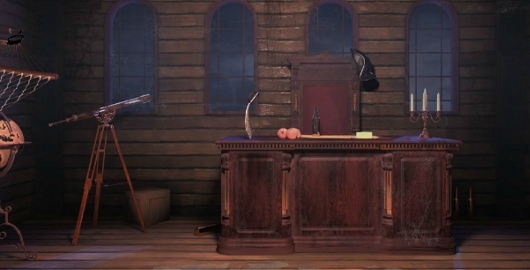 Blackbeard’s Escape is the latest Room Escape game from Coolbuddy. 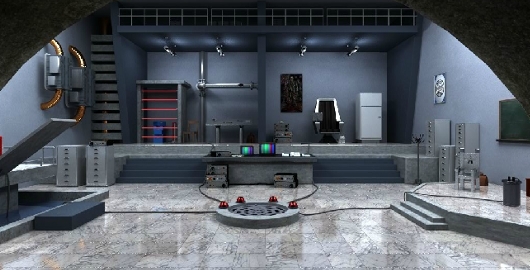 Evil Genius Escape is a Room Escape game from Coolbuddy. You have been trapped by…. you guessed it, and evil genius. 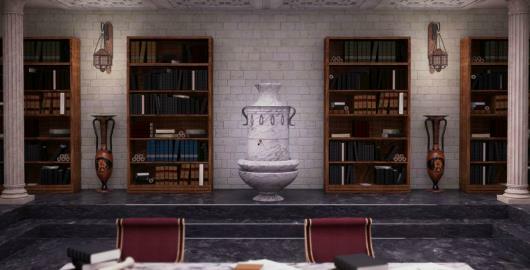 Search for clues and solve puzzles and escape. Bear Escape is a Room Escape game from Coolbuddy by Pastel Games. You’re stuck in a cabin after being chased by a bear. Use your fists and your brain to find a way out of this mess! 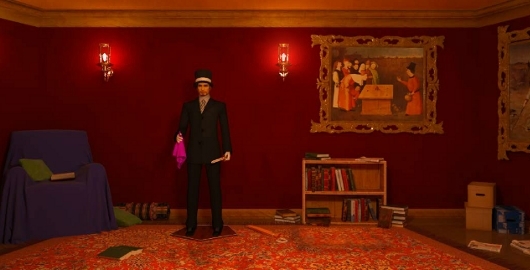 Magician’s Escape is a Room Escape game from Coolbuddy by Pastel Games. You volunteered to help a stage magician and now your trapped in his magic room. 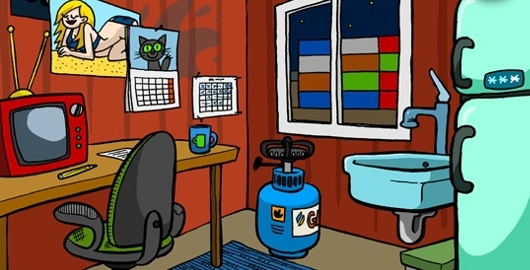 Plumber Pickle is a Point’n’click, Puzzle game from Coolbuddy by Pastel Games. Search for clues and solve puzzles to find your way out of this pickle. Monty’s Moon is a launch style Skill game from Coolbuddy by Highup Studio. 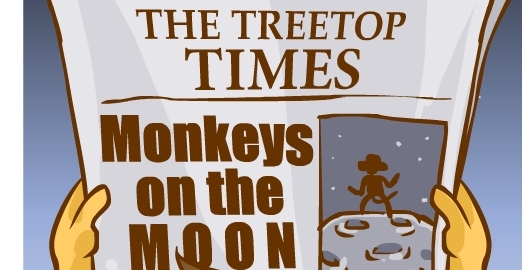 Help Monty reach the moon! Use the mouse to steer and collect bananas for upgrades. Grand Banda is a Point’n’click, Puzzle game from Coolbuddy by Pastel Games. Two elderly ladies living a peaceful life in a town by the sea spending their time doing things grannies usually do. Unfreeze Me 2 is a Physics based Puzzle game from Coolbuddy. Like Unfreeze Me the little bird spent to long in the birdbath and is now frozen in a cube of ice. Guide a column of warm water to thaw him out. Baba Yaga is a Room Escape game from Coolbuddy by Pastel Games. Trapped by a witch you need to search for clues and solve puzzles to escape. 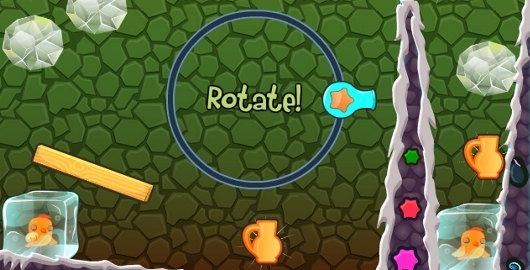 Rolling Fall 3 is the latest in the series of Physics based Puzzle games from Coolbuddy created by Mibix. 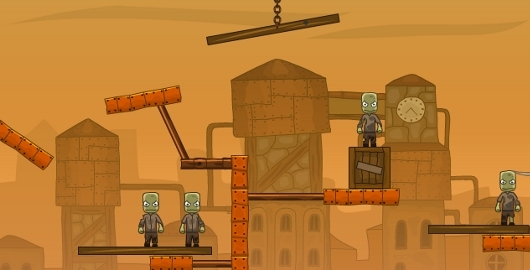 Mission of the game is to cut the chains at the right time so that the attached balls will make the zombies fall of the platform.